Pat Borroughs has always idolized his older brother, Coop. He’s even helped Coop with some of his crazier plans – even risking his life to help his big brother dig a tunnel underneath their entire Washington, D.C. neighborhood. Coop is . . . different. He doesn’t talk on the phone, doesn’t use email, and doesn’t have friends. He’s never really cared for anything but the thrill of being underground and Pat. So it’s no surprise to anyone – even Pat – that after a huge fight with their parents, Coop runs away. Exactly one year later, Pat receives a package containing a digital voice recorder and a cryptic message from his brother. He follows the clues to New York City and soon discovers that Coop has joined the Colony, a self-sufficient community living beneath the streets. Now it’s up to Pat to find his brother – and bring him home. In this book, Coop ventures into the underground labyrinth of New York City. His brother Pat, desperate and missing his dear brother, goes underground to find him. Science fiction meets adventure story in this exciting book. But the science fiction isn’t too far from reality because in New York efforts are underway to build an underground park called the Lowline. Expected to be open around 2020, the Lowline is built in an abandoned trolley terminal below Delancey Street on Manhattan’s Lower East Side that has been unused and mostly untouched since 1948. The architects of the space are using solar technology and state of the art design to build this underground oasis. Learn more on the Lowline website. 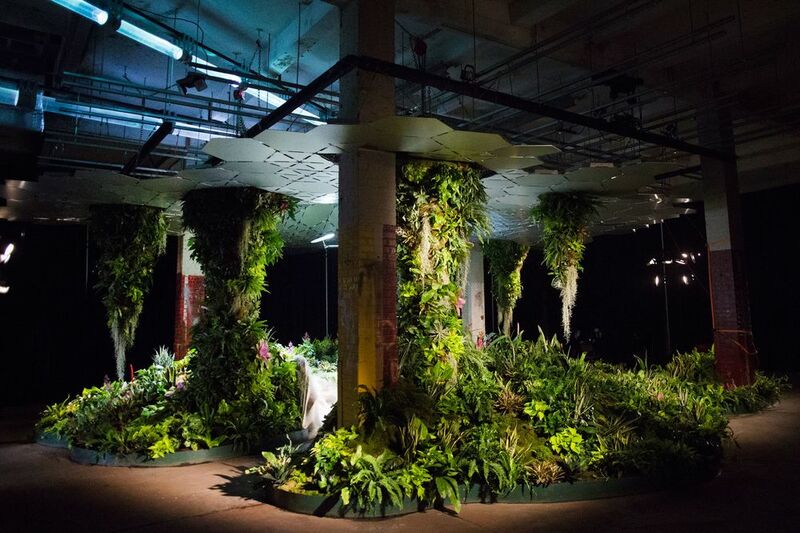 For this primary source pairing, invite students to virtually explore the Lowline. Begin by encouraging to analyze images of the Lowline before and after renovation as shown above. Next, show students the Lowline informational video explaining their techniques and goals for the project. Finally, invite students to continue researching similar types of technology used in the Lowline. Read more about the Lowline project at Bloomberg.com. Compare the two images of the Lowline. What do you notice? What questions do you have when analyzing these two images?